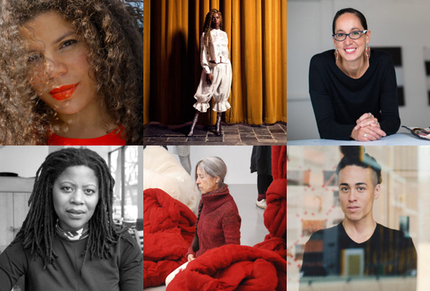 The Chicago-based nonprofit organization United States Artists (USA) has awarded forty-five artists and collectives 2019 fellowships. The recipients—working across ten disciplines, including architecture and design, dance, film, theater and performance, and visual art, at all stages of their careers—will each be provided with $50,000. “The entirely unrestricted fellowships encourage artists to use the funds for whatever they need, be it housing, medical expenses, debt reduction, their artistic practice, or a much-needed vacation,” USA said in a statement. This year’s six visual artists receiving fellowships are Firelei Báez, Juliana Huxtable, Simone Leigh, Wu Tsang, Cecilia Vicuña, and Dyani White Hawk [MFA ’11]. The fellows were each anonymously nominated by a group of scholars, critics, arts administrators, producers, curators, artists, field experts, and other cultural professionals. They were then invited to submit applications and work samples, which were reviewed by discipline-specific panels tasked with selecting the finalists.